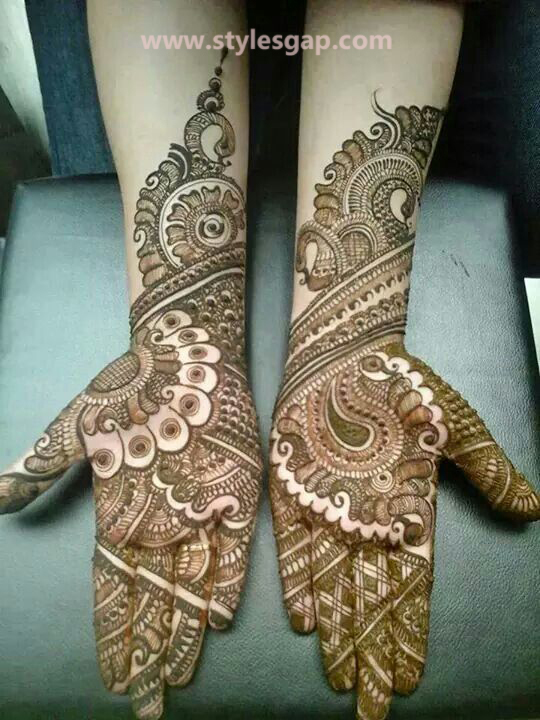 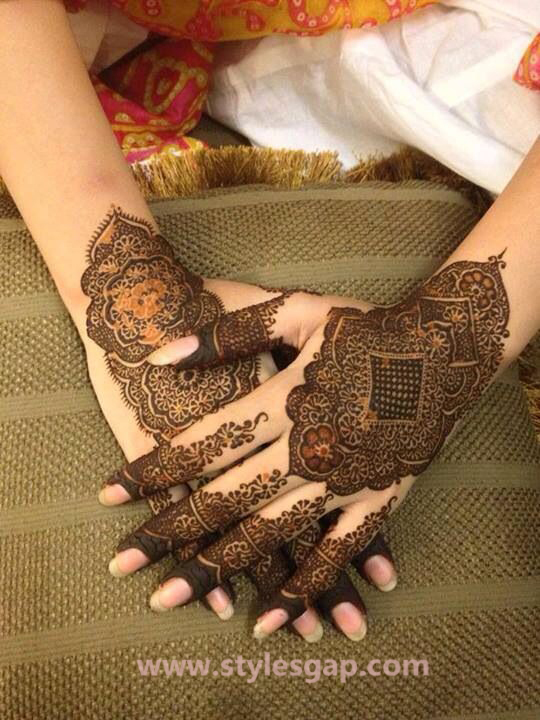 Mehndi has a central pivotal place in each kind of traditional Pakistani, Indian and Asian events. 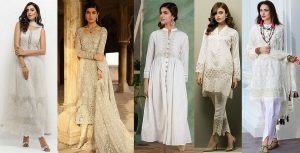 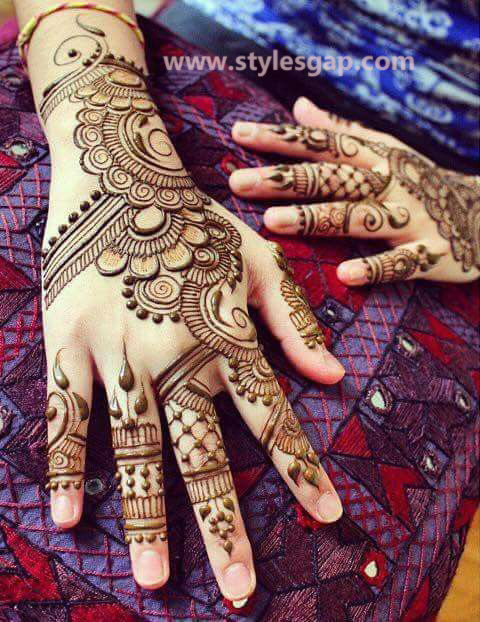 Whether it’s the yellow splashes of mehndi functions or the sweet celebrations of Eid, henna designs are always wanted by the girls of young and old ages. 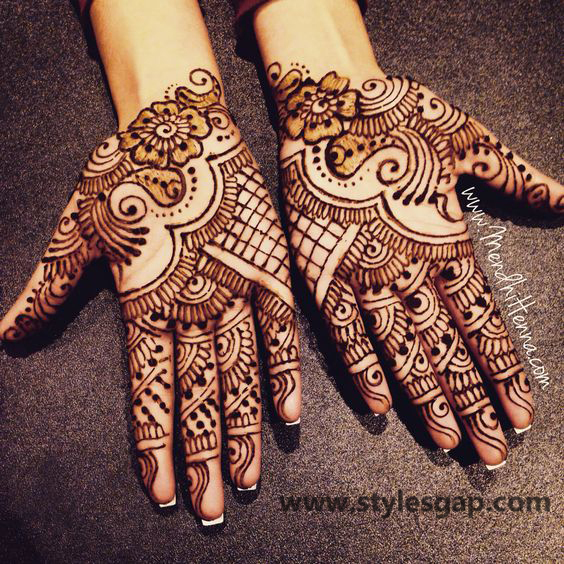 The trend has become so prevalent and diverse in its form that it has spread through many boundaries, the art of mehndi is now widespread especially in the eastern part of the world. 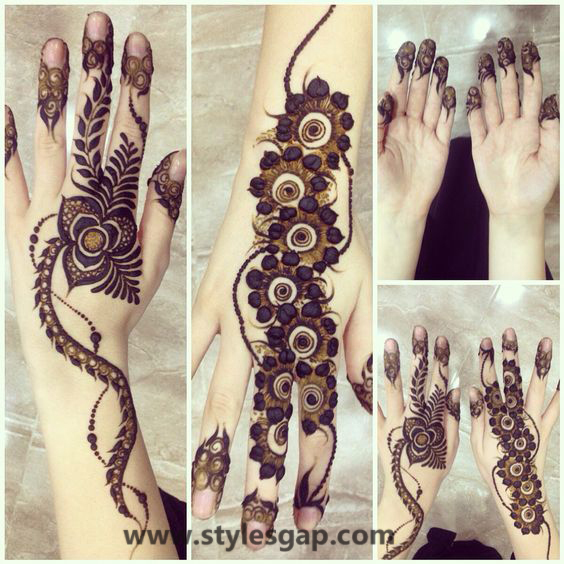 As previously we have discussed the different trend of mehndi designs common in Pakistan like the Turkish or Arabic henna patterns or Rajasthani mehndi artwork. 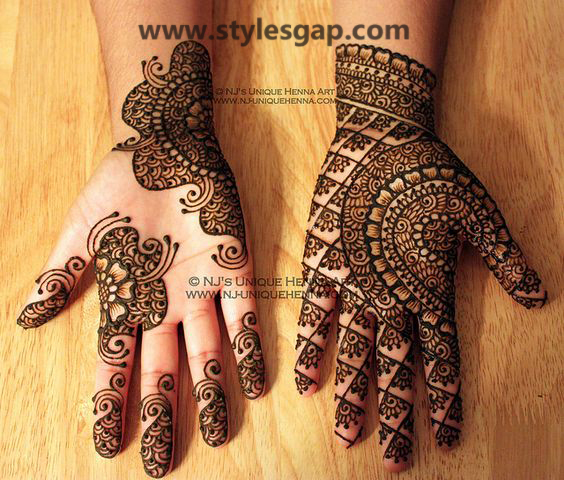 Today we will discuss the different trends and patterns of Pakistani mehndi designs. 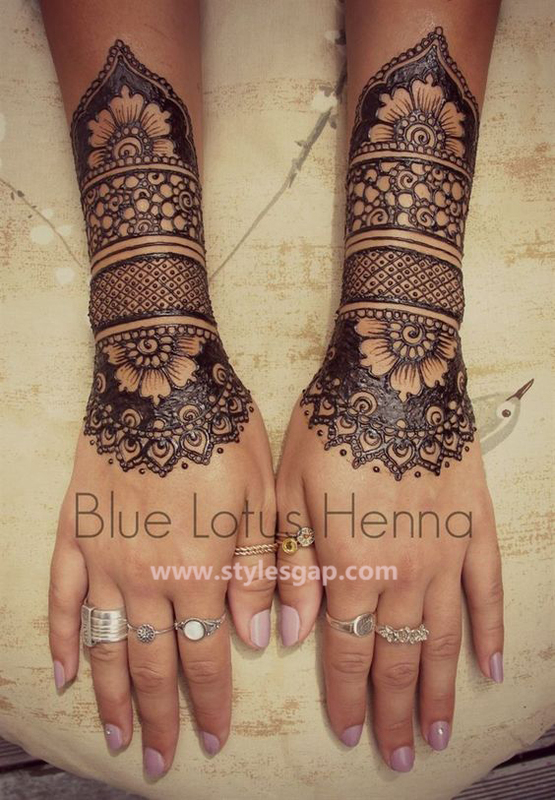 This article has brought an entirely new dimension of henna designs. 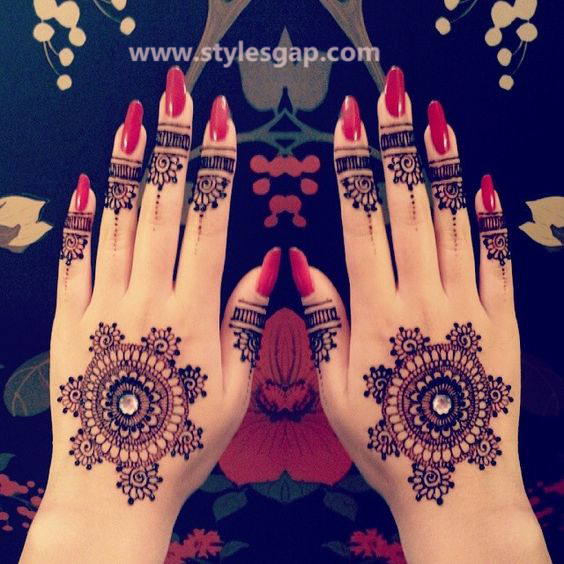 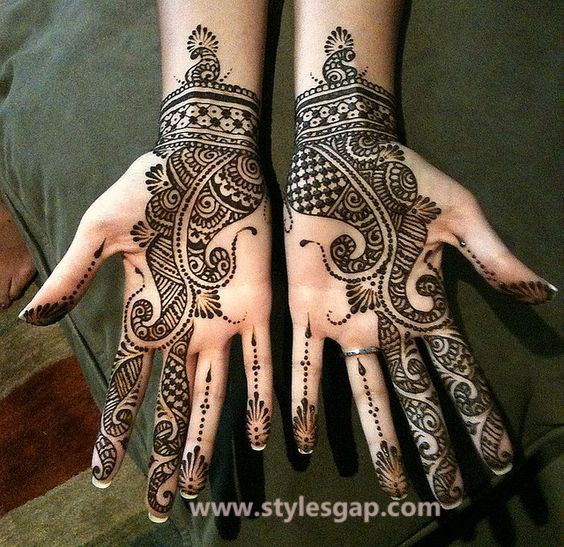 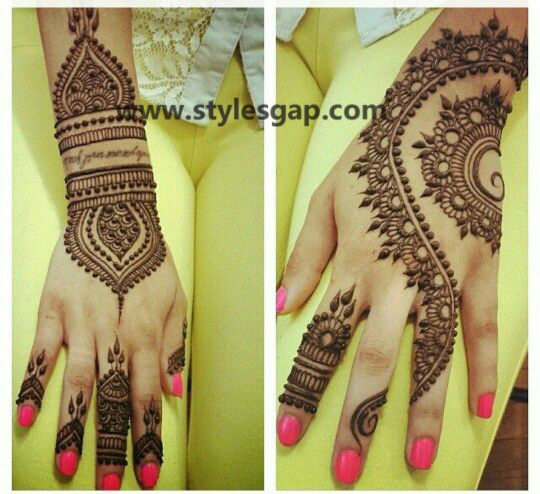 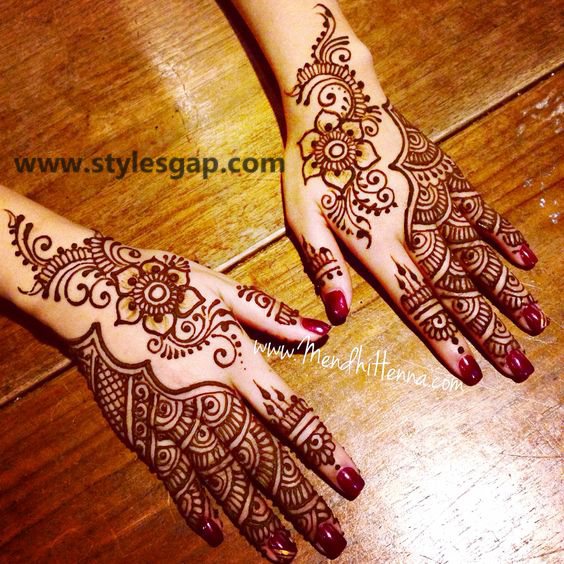 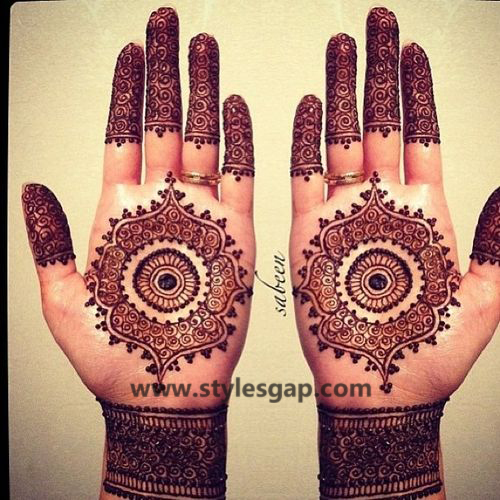 The most beautiful, vibrant and fancy mehndi designs will be highlighted here and will be discussed in detail. 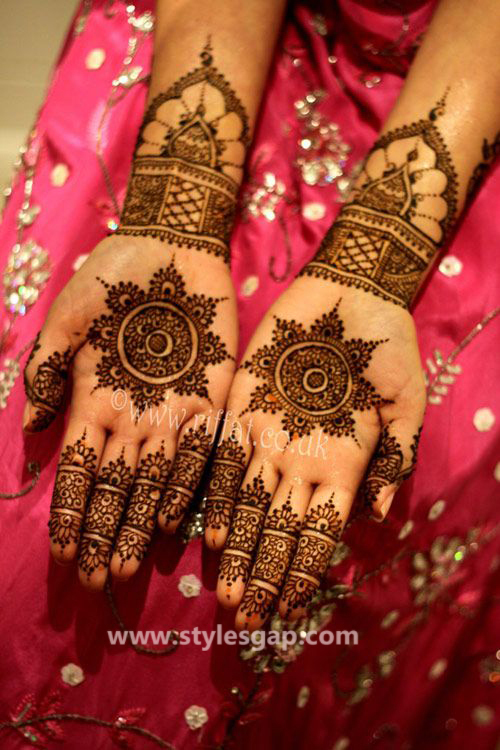 So if you were waiting for a perfect Pakistani mehndi designs package for the upcoming wedding season or even for the Eid, then you are just in luck, as this article is full of diverse fancy patternswhich are adorned with fine shadings and an addition of colorful hues used with it. 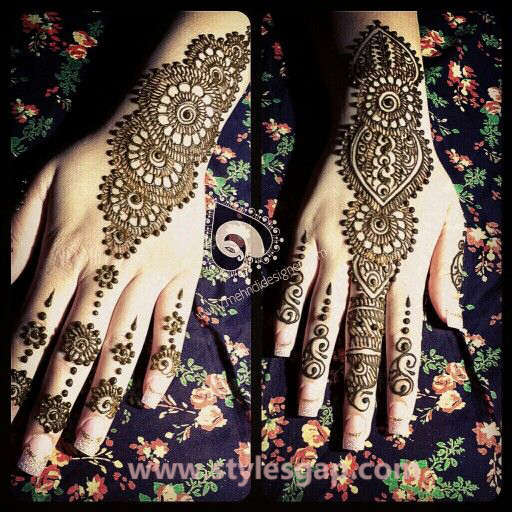 Fancy doesn’t only define the use of shimmer and glitters, but it also describes all the heavy and mehndi loaded henna design collection. 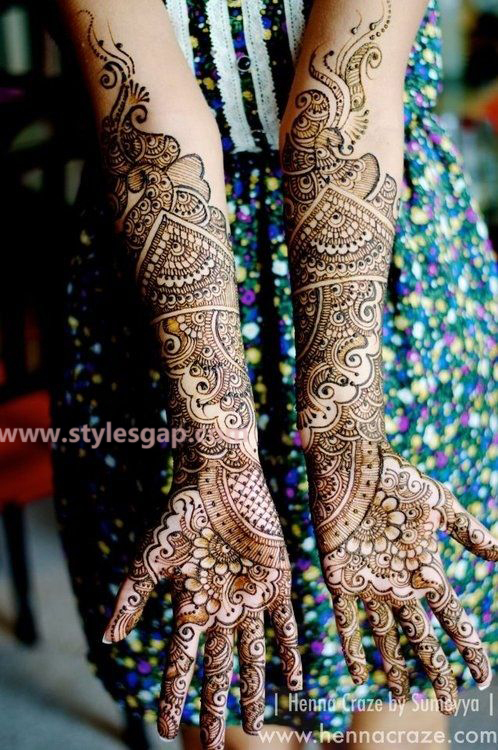 Starting with the colorful fancy mehndi patterns, these designs are anticipated for their attractive appeal. 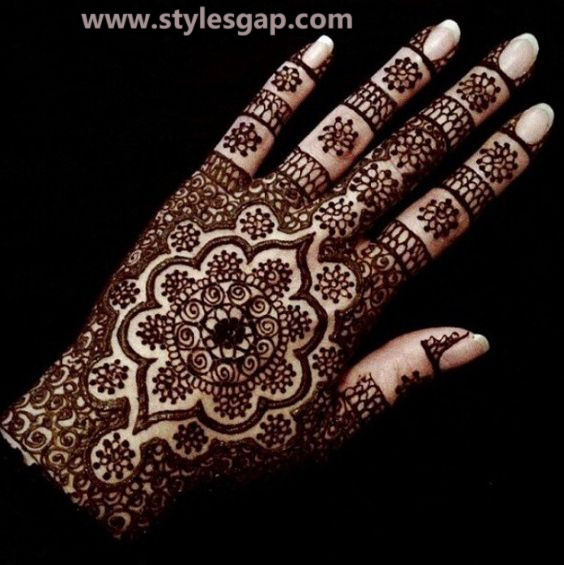 There are two growing trends in this regard; one is the use of different colored mehndi to apply the entire designs, like the use of white, gold brown or even pink or lime green. 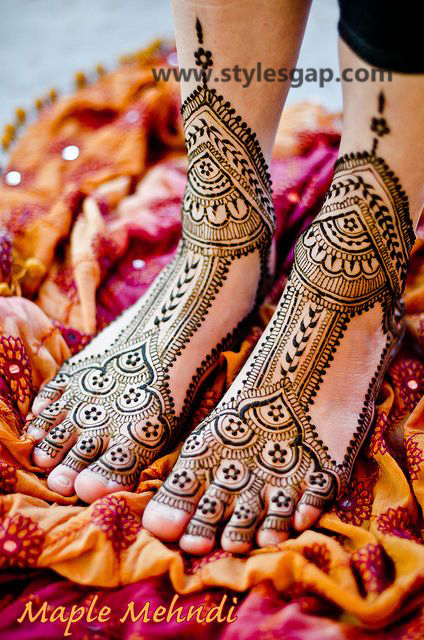 Whereas the other is the use of patches of dry hues in between the henna patterns. 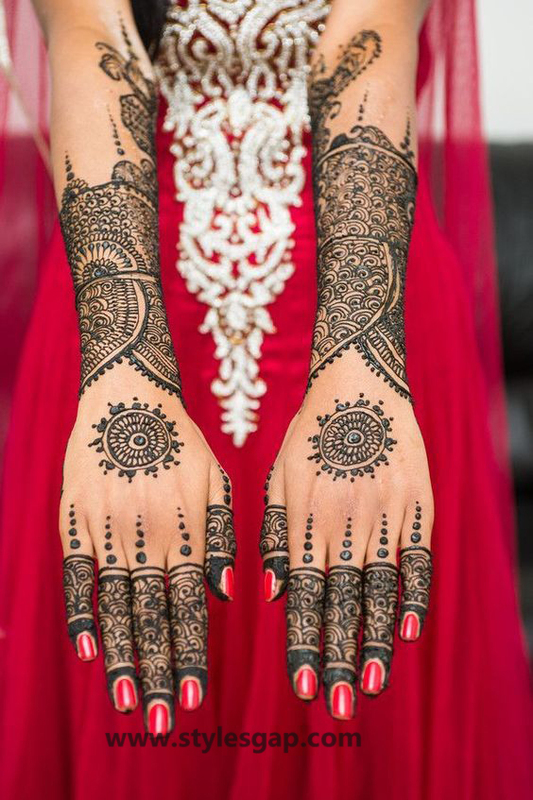 They look equally tempting as they highlight an amazing prominent contrast. 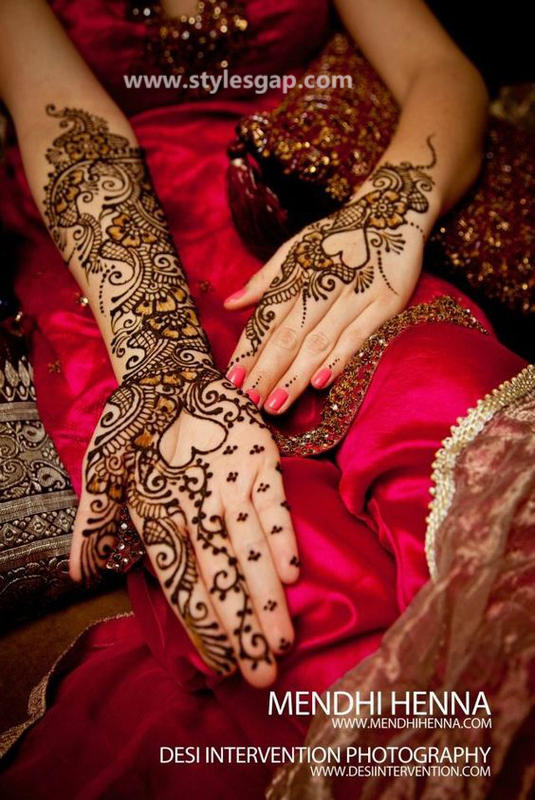 The most widely used hues are dark green, crimson red, etc. 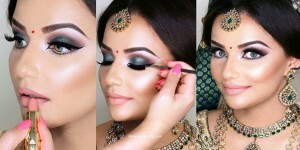 these hues can last for hours, so there is the convenience to apply them for any event. 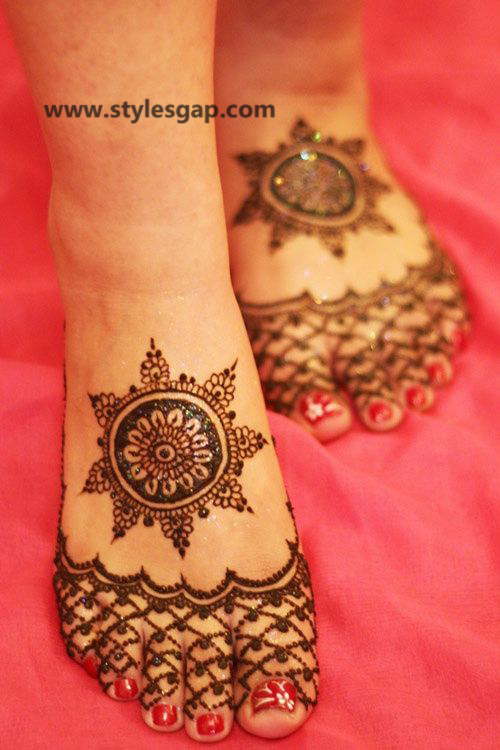 Next in line comes the glitzy glitter sparkling through the heavy patterns of henna. 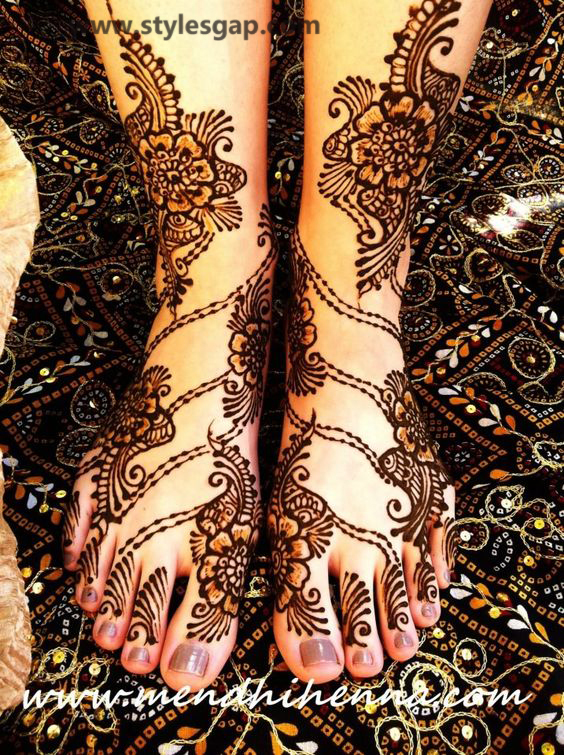 These patterns have a variety of designs combined with the use of Tiki in the center and use of floral patterns or peacock patterns around it. 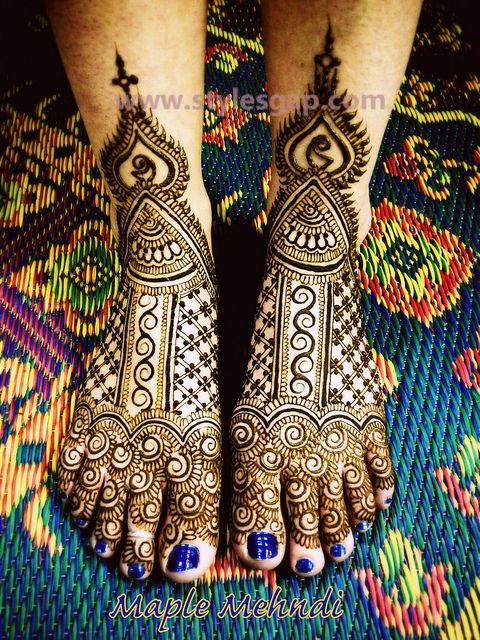 These patterns look best when they are applied to the greater length of your hand or feet. Covering through the wrist and palms, extending to the tips of the fingers these designs are heavily shaded or covered using network patterns. 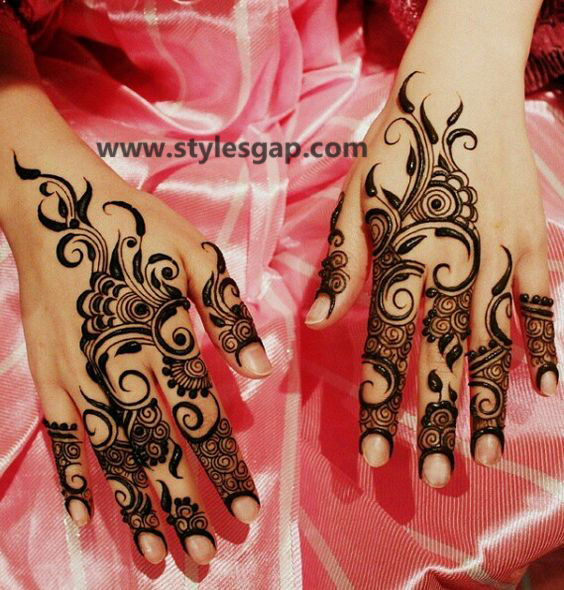 The Bold or dark lining of the patterns filled with interior designs is mostly applied whereas the use of heavy fillings of henna inside the patterns is also popular. 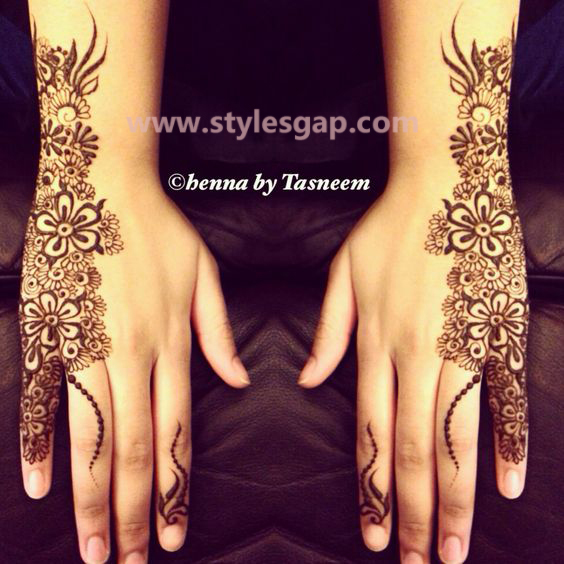 Added beats and shimmers over the layers of henna applied are also getting popular these days. 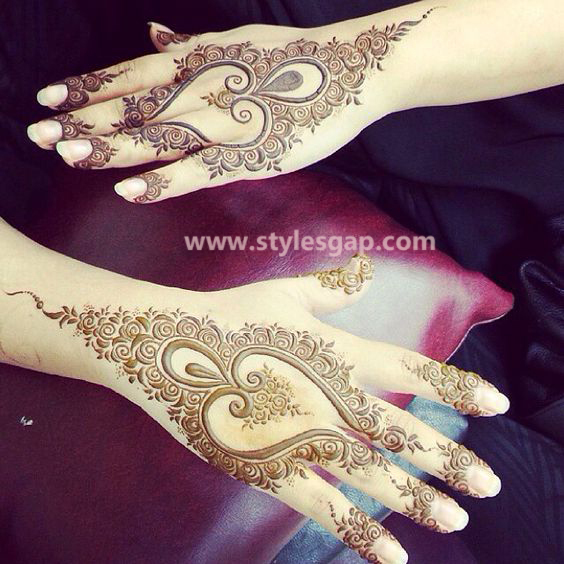 So whether you are getting your hands painted with bright colors of henna or applying it yourself having a suitable fancy design in your mind is necessary. 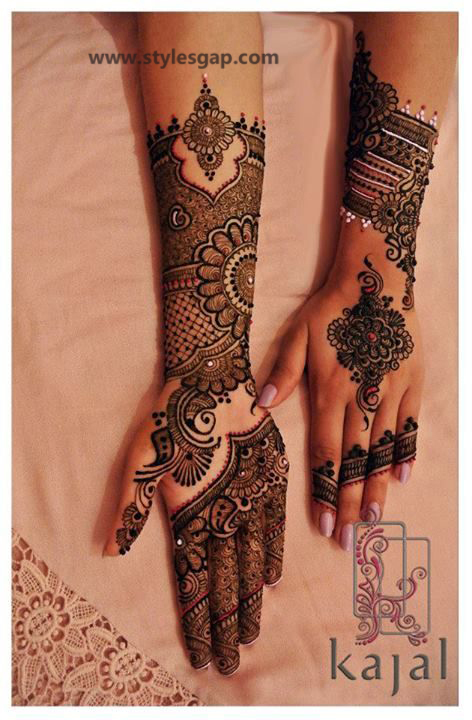 To make sure you have a clear idea of it, we have brought you all range of alluring heavy and sparkling henna patterns which may fit best to any festive occasion you want to try.